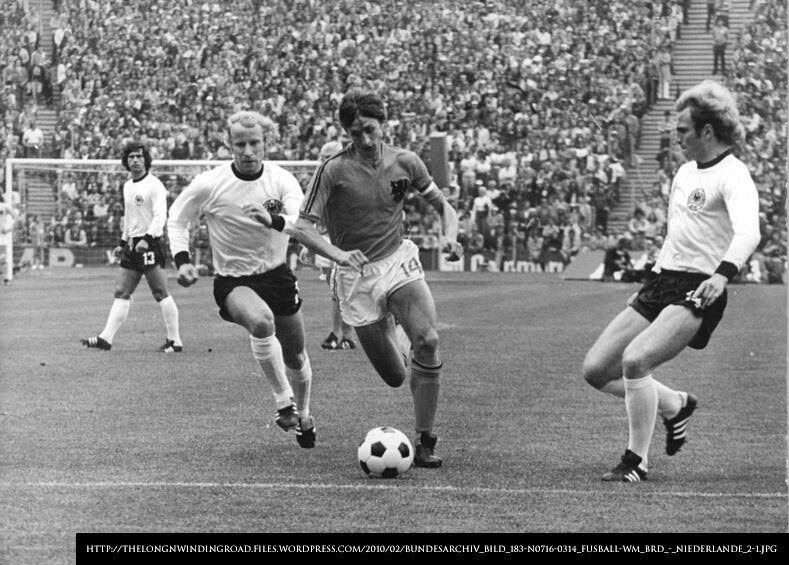 1974 was the year when I first became aware that there was such a thing as a football World Cup. I was in my junior year in high school and had played for the varsity team since the year before. I knew a lot less about football in those days, and accumulating knowledge was going to be a difficult journey in this basketball-crazy country! From the sports section of newspapers that my Dad religiously bought each day, I learned that the World Cup that year was being staged in what was then West Germany; that it was organized by an international football organization called FIFA; and that there were a total of 16 teams from all over the world who made it through the qualifying stages to be able to play in what ranked – next to the Olympics – as the second greatest sporting event in the world. This being the Philippines, interest in the event was – at best – trivial. Hence, although there was television coverage of the World Cup, it was limited to but a handful of matches that were aired a month after the tournament concluded. For one of the weekend delayed telecasts, I had to go to a friend’s house because our own television set was not working. This was a game between the defending champions from Brazil and the European upstarts Yugoslavia. We had started to enjoy only a few minutes of my first-ever World Cup match when, overhead, terrifyingly loud thunderclaps began to explode in the mid-afternoon skies. The booming sounds went on continuously for the next few minutes and, before long, thick rain clouds had started to darken the afternoon. Soon, the rains started to fall. As we continued to watch the game, we did note that the sound of the rain hitting the roof seemed a tad louder than usual. The thunderclaps continued unabated even as the rains fell; and fearing the TV would be fried by the incessant lightning bolts, my friend’s Mom asked for it to be turned off. With no recourse but to go outdoors, we soon discovered it was not just rain water loudly clattering onto the roof. Hailstones the size of pastilles were actually causing the unusually loud sound. It was a poor substitute for the football match we were earlier enjoying. Still, this was the tropics; hailstones do not fall from the skies everyday. I remember the incident as clearly as I do Jairzinho striding into the Yugoslav defense. The thunderstorm lasted for over an hour, and by the time it abated, the telecast had finished. We saw no more than 20 minutes of the match. 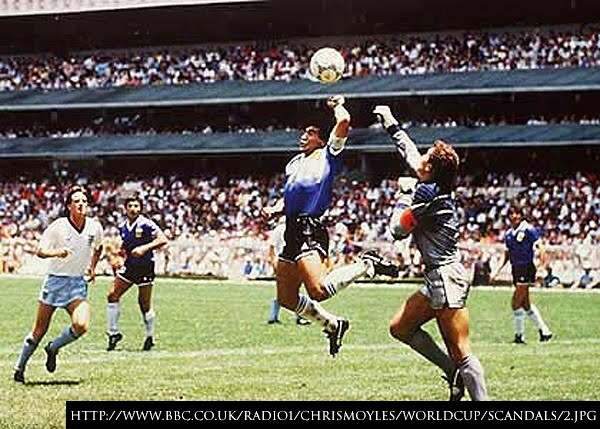 By the time the delayed telecast of the final match aired, though, our television had been repaired and I was treated to my first World Cup championship game sitting comfortably in the living room. 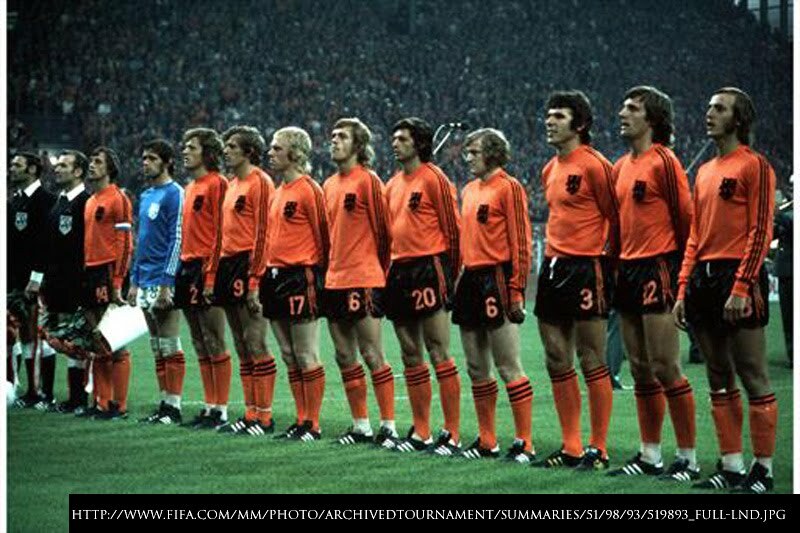 This was supposed to be when Holland’s flamboyant attacking style – characterized by players surging forward and continually exchanging positions in what was known as “total football” – brought this tiny European nation the ultimate footballing prize. The Germans had other plans, though. They were also playing on home turf. That match was 36 years ago, and frankly I remember only hazy details about it. It was supposed to be the showcase of the dazzling talents of a Dutch genius named Johan Crujff, generally accepted as successor to the title of Best Player in the World. The title was erstwhile bestowed upon the great Brazilian genius Edson Arantes do Nascimento, affectionately called Pelé all over the world. 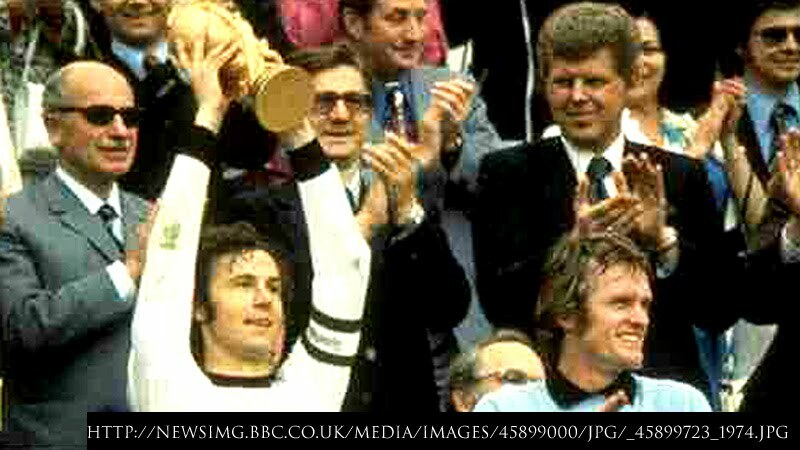 There was also the brilliant defensive display of Der Kaiser, a certain Franz Beckenbauer who would not only lift the Jules Rimét trophy as captain but also – 16 years later in the World Cup in Italy – as manager. The black-clad shot-stopper Sepp Maier saved everything the Dutch could throw at his goal in a brilliant second-half display of goalkeeping. The Germans hardly got out of their own half in the second half as the Dutch tried to claw back from a 1-2 deficit. But the “Clockwork Orange,” as the Dutch were referred to because of their precision passing, were kept out by sheer German defensive doggedness. I have followed every World Cup since. Except for the tournament jointly hosted by Korea and Japan in 2002, for which FIFA experimented with the pay-per-view method of televising the matches, subsequent World Cups had been carried by local stations. In my head, I carry an immense collection of World Cup moments, such was that of the imposing figure of Mario Kempes bulldozing his way through the heart of the Dutch defense to win the Jules Rimét for the first time for Argentina at the River Plate Stadium in 1978; Brazil playing a precise walking-pace style in 1982 that was lovely to watch but could not win them the cup; Diego Maradona’s infamous Hand-of-God incident of 1986 which was as brilliant as it was deceitful; or England’s hard-luck penalty shoot-out semi-final loss to eventual winners West Germany in Italy in 1990. 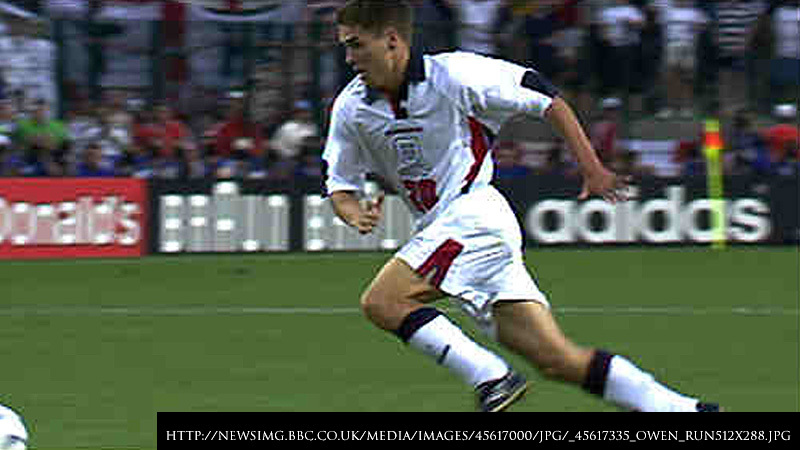 There was Roberto Baggio’s schoolboy penalty miss in the USA finals in 1994; Michael Owen’s introduction to the world stage with a magnificent solo run against Argentina in France in 1998; South Korea getting to the semi-finals with the help of some dubious refereeing calls in a tournament they co-hosted in 2002; and the Aussies, of all teams, outplaying eventual winners Italy in the round-of-16 in 2006 only to be undone by a heartbreaker of a goal. Last night, I really had absolutely no plans to watch the opening match of the World Cup currently being staged in South Africa. Cable TV does make one feel a bit blasé about the game. Where once, a televised game – whatever the level – was an occasion in itself, these days I am no longer dependent on the whims of local television programmers. Aside from ESPN and Star Sports, if need be, I can even get coverage from the French, Portuguese or even Japanese channels. This World Cup in South Africa – I believe – is being covered in its entirety by a local sports cable channel, a tongue-in-cheek station called “Balls.” Last night, I was just channel-hopping when I instantly recognized the yellow-and-green strip of the Bafana-Bafana – the nickname South Africans call their national team – already lined up to meet Mexico in the opening match.